New social structures and tribal connections spring up across America, as the previous social structures begin to dissolve. 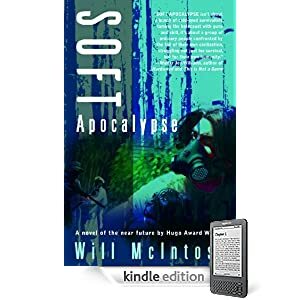 Soft Apocalypse follows the journey across the Southeast of a tribe of formerly middle class Americans as they struggle to find a place for themselves and their children in a new, dangerous world that still carries the ghostly echoes of their previous lives. Or purchase Soft Apocalypse as a DRM-free e-book in the format of your choice through WebScription.net.